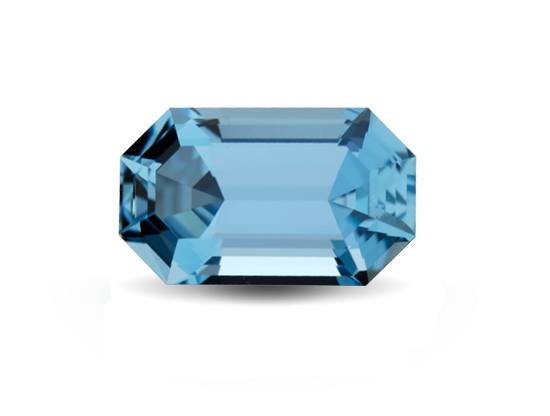 Aquamarine is the birthstone for March and the gem of the 19th wedding anniversary. 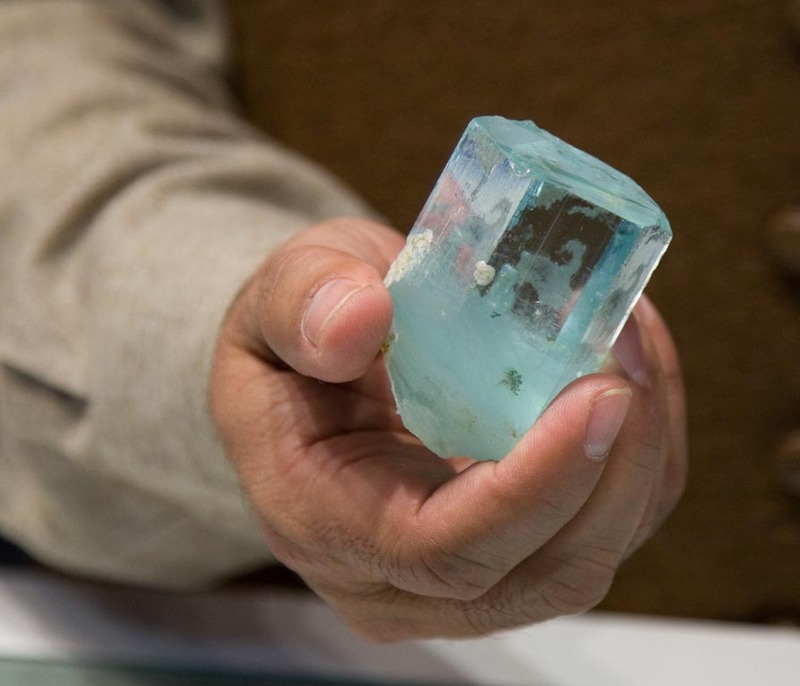 The largest gem-quality aquamarine crystal mined to date is 19 inches long. 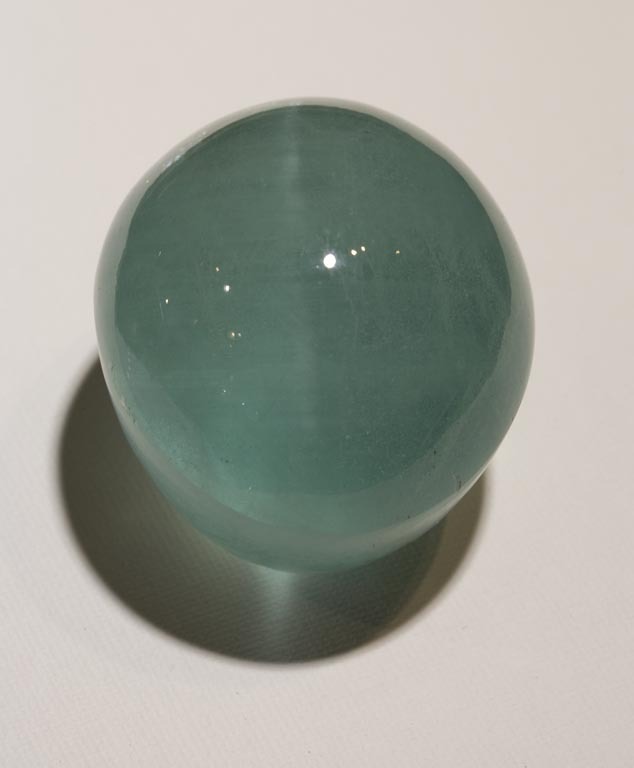 Like emerald, aquamarine is a color variety of the mineral beryl. Aquamarine is mined at high elevations in Pakistan’s Karakoram Mountains. Aquamarine grows in beautiful six-sided prismatic crystals that on rare occasions can be more than a foot long. 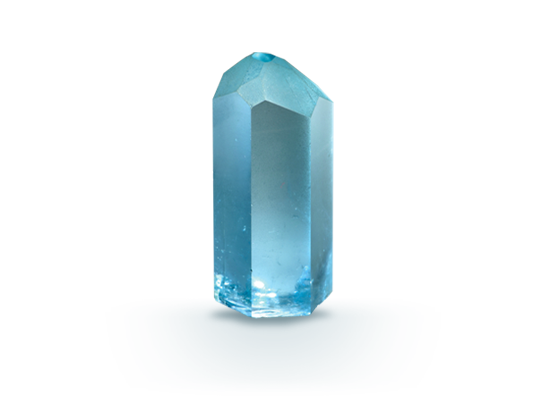 Using a dichroscope, you can see aquamarine is near colorless and stronger blue in different crystal directions. Assessment of the following characteristics determines aquamarine’s value. 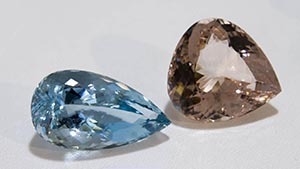 Aquamarine’s preferred color is a moderately strong dark blue to slightly greenish blue. Most cut gems are eye-clean. Large examples are available without visible inclusions. 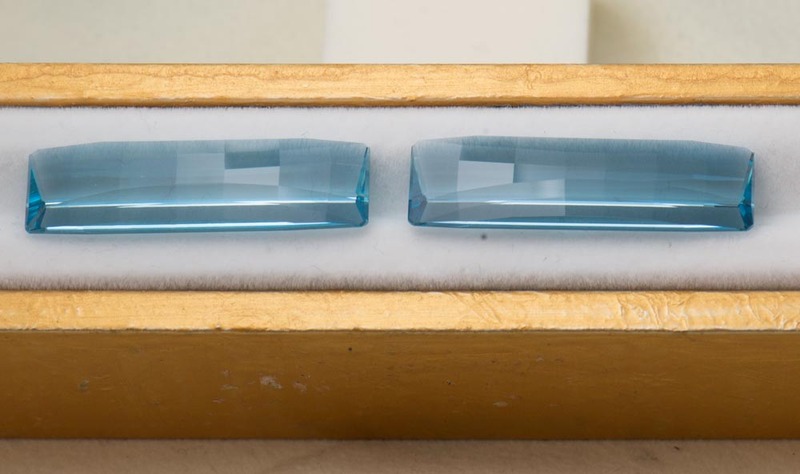 Because aquamarine’s color is light, cutting is important and well-cut gems show brilliance. Aquamarine crystals range from tiny to very large—some even up to 100 lbs. 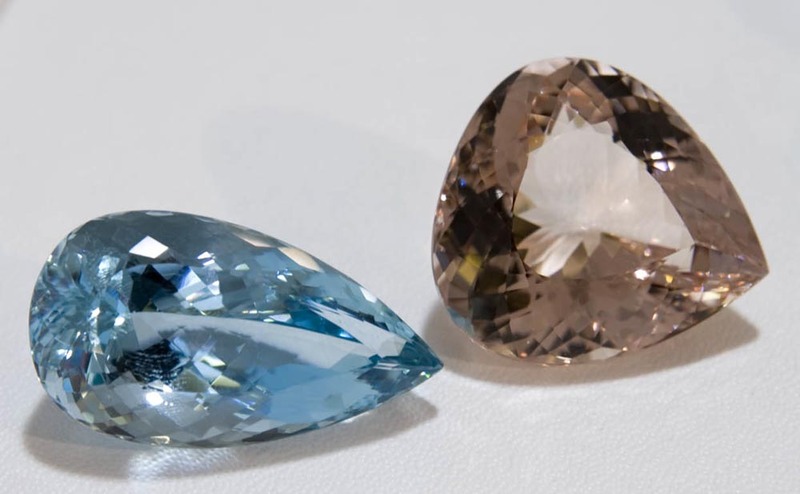 Explore sources, gemological research, and the role of aquamarine in history.